Looks nice? It isn’t. 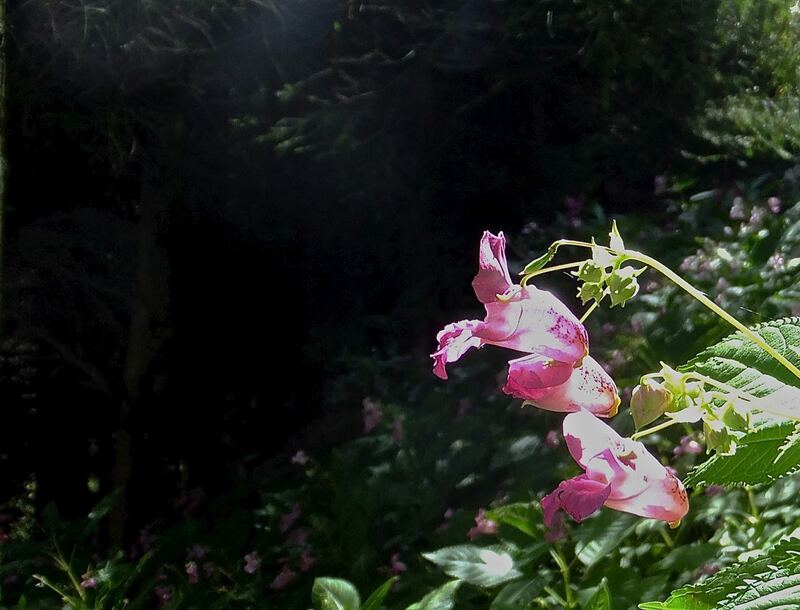 This is Himalayan Balsam, Impatiens glandulifera, introduced into the UK by some Victorian gentleman who, if he was still alive, should be made to crawl around the country stuffing the consequences of his marketing opportunity up his bottom. This is the major invasive weed around here, possibly even the biggest local environmental problem we have right now. I’d say ‘if you see this plant kill it’ but apparently the expert advice is that even that might just make it worse (as if it were a hydra, or something). The only answer seems to be to develop a taste for eating it — which no other UK species has yet managed, hence the problem.